My “daily driver ’37” drives away, and I am still in a bit of shock that the transaction happened. Having a little “sellers remorse” but reminding myself that it is what was intended. I bought the car to be the daily driver until someone else decided they wanted it more than I did. Mission accomplished, and I came out of it a few bucks ahead of where I started, with one exception. My old “booger” (green ’97 Chevy Astro van & awesome mountain bike hauler) had been sold and the ’40 is the only car that I have for ME to drive. Time to turn the page. Current game plan…fix the couple of maintenance issues that I had on the ’40. The main one being fixing the oil soaked starter, due to a long unnoticed leaky valve cover gasket. For some reason, I put a cast iron starter on the car, originally, and I dreaded pulling that boat anchor off. The guys at O’Reilly hooked me up with a new boat anchor and I got it installed and the starter issues are now resolved. Jump into the ’40 to head to church the next morning, and realize that the car is bleeding 10w40 all over my driveway. Come to find out, I accidentally broke the brittle plastic capillary tube for my oil pressure gauge, causing it to squirt oil. The good news…it’s fixed and the garage floor and driveway are freshly lubricated! 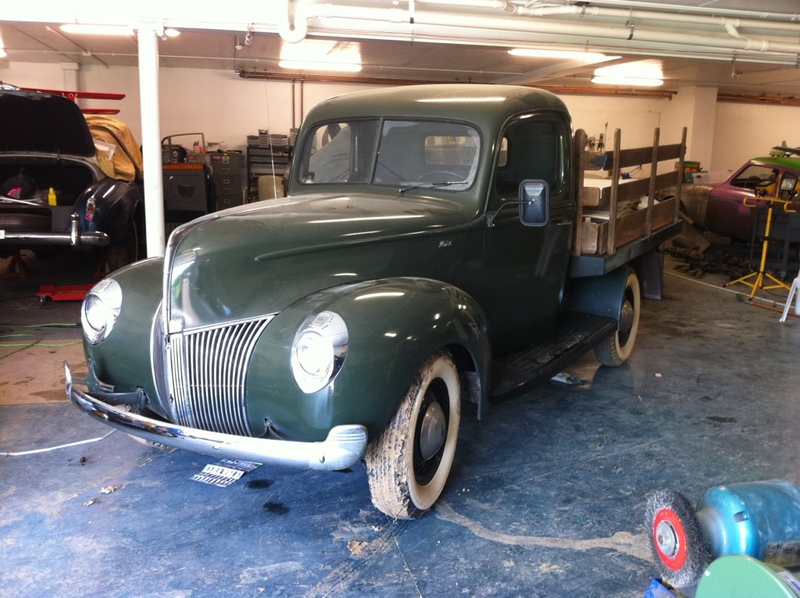 ’37 Ford Daily Driver update!